Wanderings With The Fae No.1. 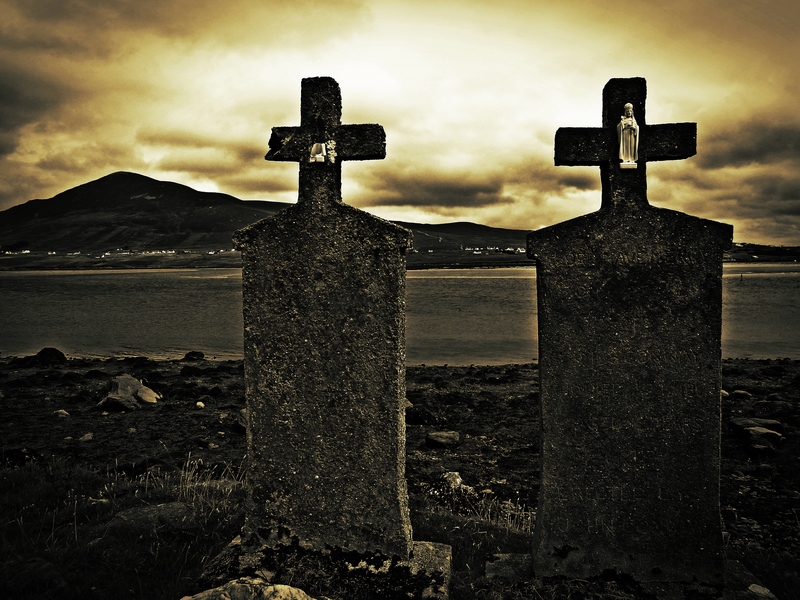 Achill, pirate queens and folk art graves. Wanderings with the fae. A photographic journal of places of atmosphere, folklore, history and strangeness, found on my travels around Ireland. Achill Island is a place of remoteness, wildness. 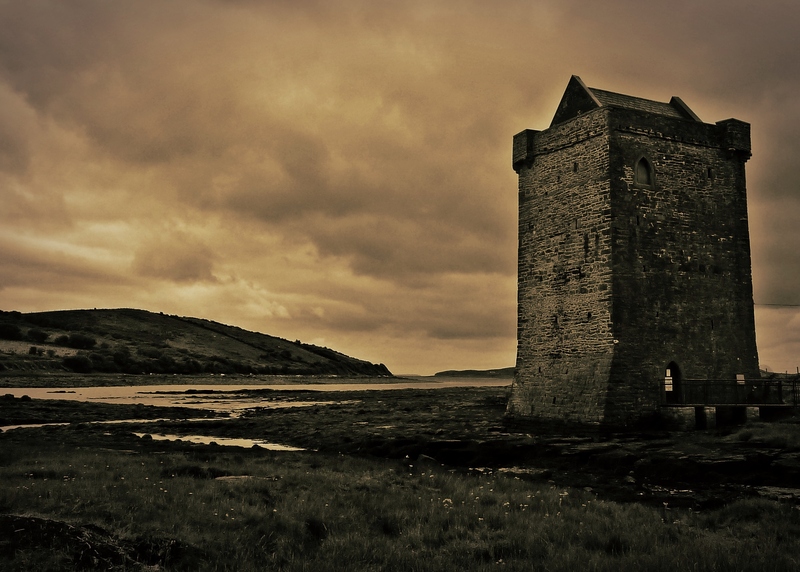 Carrickkildavnet Castle has stood guard over Achill Sound for near 600 years. Once the home of the infamous pirate queen, Grace O’Malley. 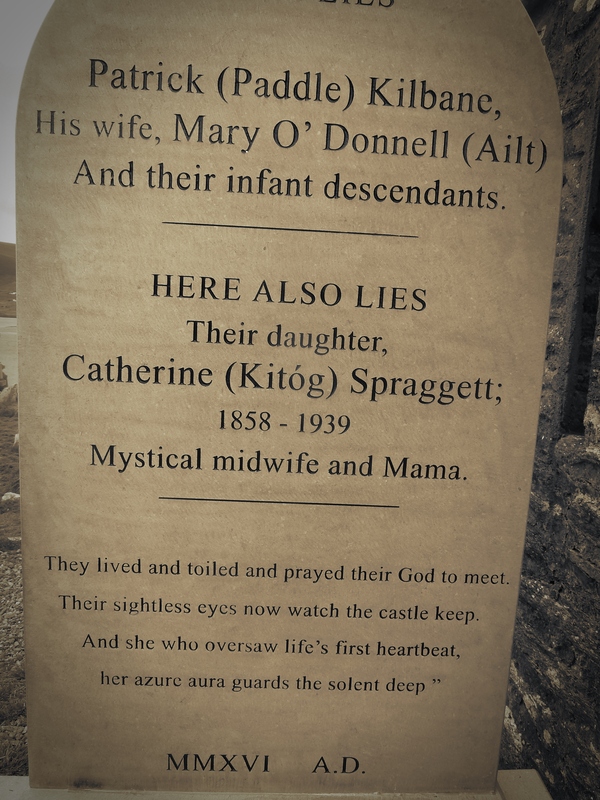 Kildownet Graveyard contains the ruins of a chapel thought to have been built by the pirate queen herself. Sitting right on the coast, it seems that one good storm could take some of those interred to a far deeper, wetter grave. What makes Kildownet so special is It’s number of folk art gravestones. These simple markers, cast from concrete and decorated with stones, broken glass and shards of pottery are far more poignant than any grand tomb. And I still haven’t found anyone who could explain to me what being a "Mystical Midwife" entails! Next postWanderings With The Fae No.2. The Lost Cottage.